Thin Lips are a rock/roll type indie band who place a whole lot of value on humility, kindness, and erudite riffage. 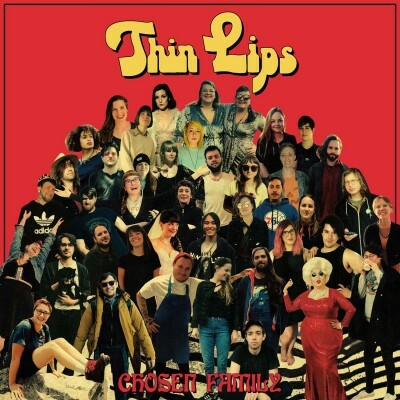 Following their fledgling EP, Divorce Year, Thin Lips released their first full-length record, Riff Hard (Kyle Pulley/ the Headroom) in May of 2016. Singer/guitarist Chrissy Tashjian steered Thin Lips down the middle lane of pop sensibility, while simultaneously testing the boundaries of some pretty wild licks, backed by rhythm keepers Michael Tashjian (drums and Chrissy's younger brother), and Kyle Pulley (bass/audio engineer), and auxiliary guitar player, Christopher M. Diehm. 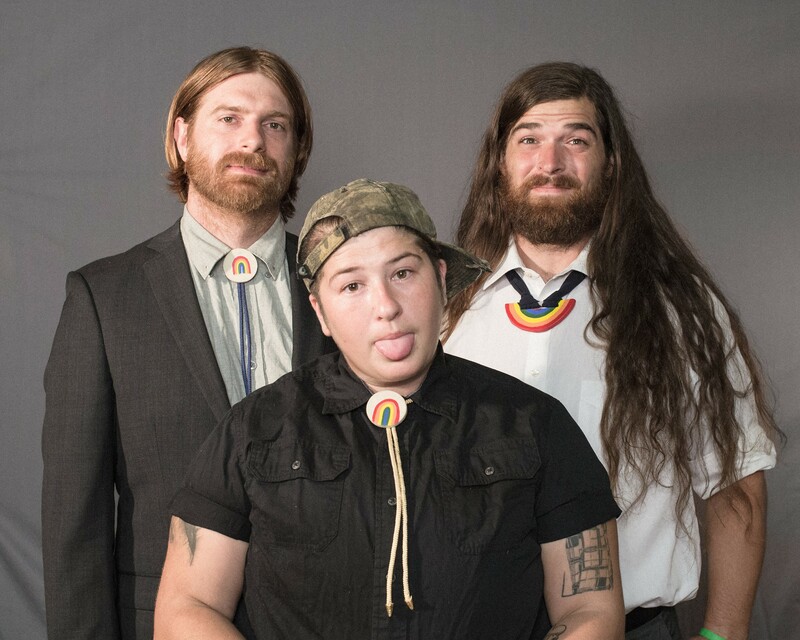 Following the release, Thin Lips toured relentlessly across North America and Euope, including dates with Modern Baseball, Cayetana and Worriers. 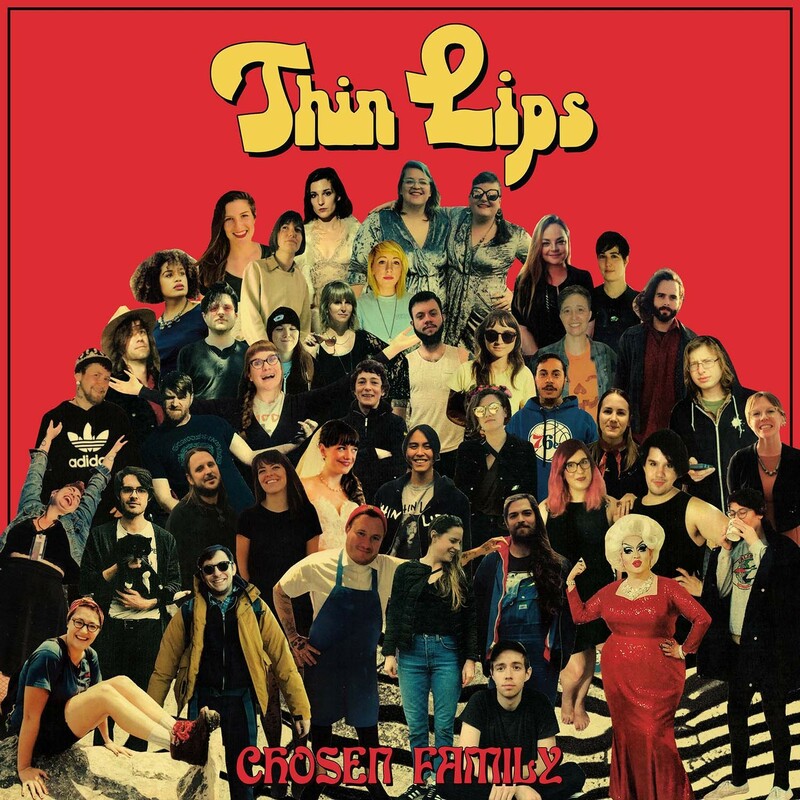 In 2017, Thin Lips headed into the studio to start production on their sophomore LP Chosen Family. The album was produced by Joe Reinhart and Frances Quinlain of Hop Along, working as engineers, collaborators and occasional guests on the album. Chosen Family is a more sonically eclectic and emotionally deep effort from Thin Lips. Chrissy touches base on her queer identity, her recent bad breakup, and the loss of her younger brother, while focusing on the positives that she’s found throughout the year: her Chosen Family. Thin Lips will be touring this summer opening for Hop Along.